Angelo Scalici’s career began as an open format DJ in 2005,performing in various night clubs in New York City. Angelo’sinterest for music was influenced at a young age byEuropean folk songs and his love for percussion. Producingas a hobby, he first explored the production of mashups andremixes which were made available via niche sites.Attending a variety of nightclubs and drawing inspirationfrom the likes of Crazibiza,AT FC, Chus & Ceballos andMastiksoul,Angelo began applying certain concepts to hisstyle while defining his unique sound. 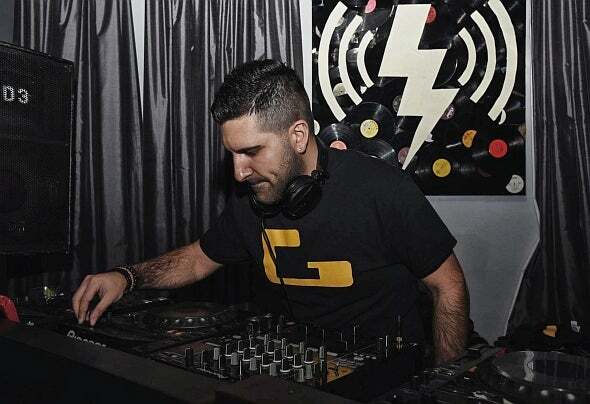 It was in 2010 thatAngelo released his first original hit single “La Mosca”leading to the syndication of his career.With performances invenues such as Pacha NYC and T he Lady Silvia in LasVegas, it is no question that Angelo’s passion depends onbig room funky sounds, including sub- genres such asDeep, Tech and Soulful House. Since his first hit,Angelo hasrecorded many other tracks along with his personal favorite“Rock T his Drum” which was released in 2012 for MiamiMusic Week. It was later featured during the Winter MusicConference and heard around the United States and inseveral countries, including Italy and Spain. His pure talentand unique rhythm continue to have him featured on artistcharts, record pools and radio stations, while he remainsconsistent in serving out fresh, funky sounds to keep yougrooving on the dance floor.